Vypr is one of the well-known VPN. The base of this VPN is in Switzerland which is a country of privacy-friendly regulations, Vypr has some good security features that allow the use of a proprietary chameleon system and other different kinds of encryption protocols which masks up the data of the user. However, Vypr is only available in Asia, Europe, and North America and if you are not in these areas, then your connection will get less consistent and slow. Vypr VPN is one of the best-paid VPN out there. The service of Express VPN is based on Virgin Island. Since 2009, this VPN is operating successfully. This company has built a reputation for the dedication of the privacy of user and consistency. Express VPN is no doubt one of the expensive VPN available in the market. Secure VPN service and packages that are easy to use are worth the money that the client spend on Express VPN. If you wanted for the express best VPN, then do consider Express VPN for your smartphones and Android tablets. • As for price, the configuration options are limited. 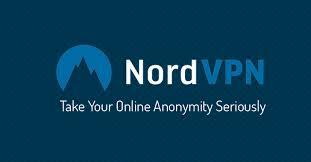 NordVPN is one of the reputable VPN in the market. The packages are budget-friendly. It servers are in more than sixty countries. The deep features of NordVPN make it best VPN for smartphones. These features include encryption protocols of different types, kill switch and many other features. One of the most significant advantages is that this VPN Company is Panama based which means that privacy would be great. Nord VPN has an easy to installation and excellent mobile interface. This feature makes it user-friendly for the users of Android. It is more on the budget-friendly and user-friendly side. So consider this VPN if you are looking for the best free VPN and user-friendly features. TunnelBear is one of the smaller VPN which promises to give you a good balance between usability, security, and price. One of the good thing about this VPN is that it offers a free version with some limited data which can be a good way to start with this VPN. Having a no-log service makes this VPN private. However, this VPN is only available in 20 countries which makes the servers limited. North America, Asia, and Europe customers can get access to this VPN, but people who live in the Middle East and Africa might have to find an alternative. TunnelBear has ad blocker which is built-in and gives a sleek look. • Few servers limit the speed and bandwidth which makes its performance inconsistent. Smartphone users have great news because Hideman VPN offers subscription just for IOS and Android users. For those who are looking for good privacy options for their smartphones then Hideman is the best option to consider. Most of the Hideman VPN servers are available in Europe and North America. The performance of this server is consistent in these areas only. If you are looking for an affordable and pleasant VPN experience of mobile, then go for Hideman VPN. It is one of the best VPN which is specifically designed for smartphone users. • No option for a live chat to get customer support. I'm with NordVPN on this one. I use it on my Samsung Galaxy and have no issues whatsoever. Thanks for the comment. Do you subscribe to their premium package? Yes, indeed. I bought mine with a huge discount that they still have available here nordvpn.org/HAPPYNORD (just checked).